Flavored nuts have preservatives in them so I like to make my own. Use raw nuts and experiment with different seasonings and you will be pleased with the outcome! Mix together oil, aminos, garlic, ginger and pepper in a medium bowl. 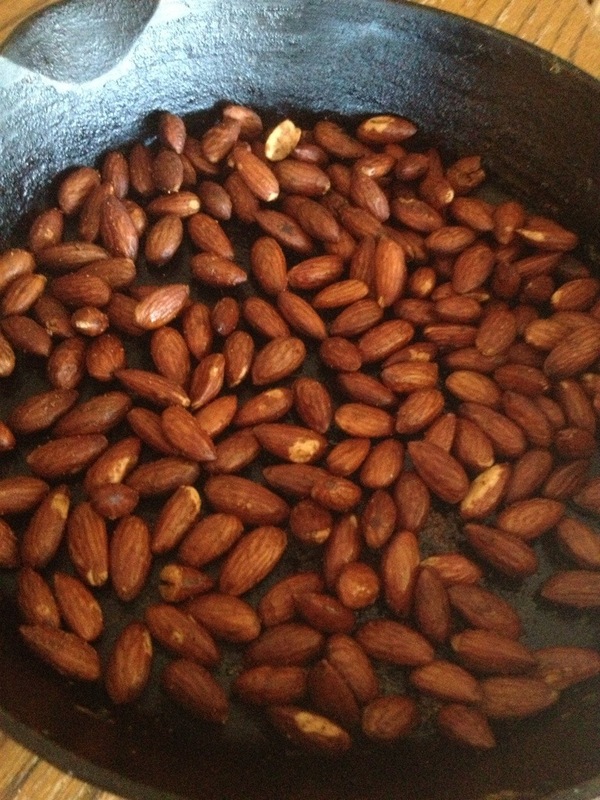 Add in almonds and stir to coat all the nuts. Cover and allow to sit for 30-60 minutes. Pour nuts onto a cookie sheet and bake at 250 for 10 min. Flip the almonds and bake another 10 minutes. Turn off the oven and keep the nuts in the oven for another hour to continue to dry. Store in an air tight container.